PDF files play a huge role in everyday tasks and they own significant parts of processes which every industry has. Creating, or reading such files is a crucial part in PDF workflows across different market verticals which can be easily automated. 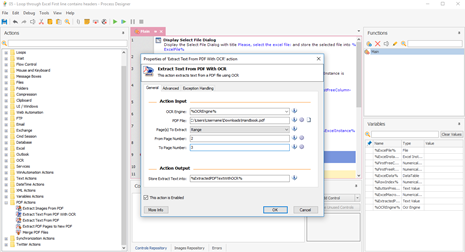 WinAutomation and its dedicated PDF actions enable you to Read editable or even non-editable pdf files and extract information from it. Extraction can also take place using Optical Character Recognition (OCR) technologies, with which you are able to get data from non-editable PDFs which contain numerous images. Apart from the typical Read functionalities, WinAutomation also offers the ability to combine more than one PDF files, into a single one. This can also work in the other way around, meaning that you may choose a number of pages or a single one from a PDF and create a new one out of it with your page selection. 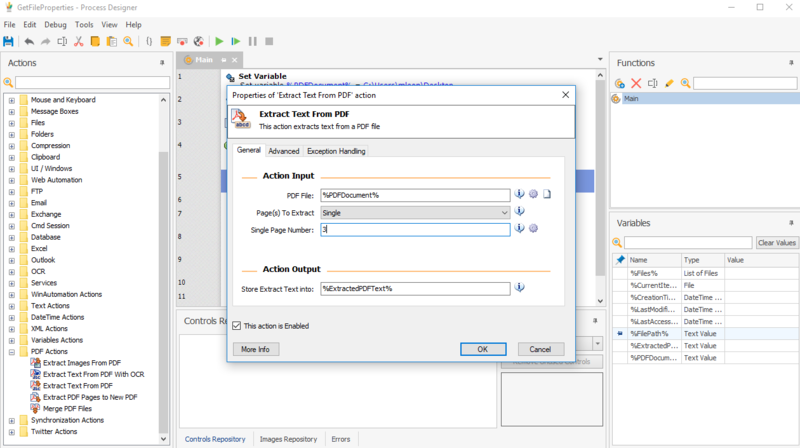 PDF automation is getting to a whole new level with WinAutomation, by combining different actions together, which will eventually build any PDF related task in no time!